Jewelry is a truly human invention, unlike the flamboyant peacock we are born without any adornment, thus we take it upon ourselves to create objects that fulfill that purpose. Historically, jewelry has been associated with the wealthier classes, working people had little money or use for such extravagances. Jewelry serves many purposes as well, to distinguish rank, as an investment vehicle, for religious or spiritual purposes, and most importantly for aesthetic reasons. Consequently, there are many different types of jewelry, coming from many different people and serving many different purposes. In this article I will mention, in no specific order, those jewelers who specialize in the luxury jewelry market. The members of this list belong to an exclusive class of jewelers who make Haute Joaillerie, or High Jewelry. These individuals and their respective companies are the most recognizable, the most respected, and, for most intents and purposes, they are the best jewelers in 2017. Founded in 1847 in Paris by Louis-Francois Cartier after he inherited jewels from his master, Adolphe Picard. Cartier is credited with creating the first practical wristwatch in response to a pilot who complained that pocket watches were too troublesome for aviation. The first wristwatch had a leather strap and a square bezel, features that have come to define watches in the modern era. Cartier owns the famed Bestiary diamond necklace, created for Bhupinder Sing, the Maharaja of Patiala. Cartier is a favorite jeweler for royals around the world, King Edward VII of England referred to him as the “Jeweler of Kings, and the King of the Jewelers”. Cartier created pieces for the coronation of Edward VII who ordered 27 tiaras via a royal decree. One word spread of the King’s fondness for Cartier, many other royals took note. Before long Cartier was summoned by royal families in Spain, Portugal, Russia, Greece, Egypt, Monaco, and many more. Cartier also created a piece for the Niece of Napoleon III of France, Mathilde. Mikimoto Luxury Pearl Company is a Japanese pearl jewelry design house and pearl cosmetics manufacturer. Founder Mikimoto Kokichi created the first cultured pearls, an act that would effectively create the pearl industry as we know it today. Kokichi’s fascination with pearls began at a young age, while he was selling his family’s crops at the riverfront, he would watch the pearl divers. When Kokichi first introduced his cultured pearls in Norway 1897, cultured pearls were thought to be a biological impossibility. Kokichi spent 12 years perfecting his craft until his pearls were indistinguishable from those found in the wild. Mikimoto creates pieces using only the finest rare south sea pearls, pink conch pearls, and titan white pearls. Mikimoto only sets their pearls in 18k gold or platinum, using the finest silk thread to unite each peace. Mikimoto makes heavy use of singular, simple pieces with a unique twist. The most notable piece of jewelry in the Mikimoto collection is the Empress necklace. Mikimoto is also the official jeweler of the Miss USA Miss Universe, and Miss Teen USA pageants. American luxury jeweler, Harry Winston produces Swiss timepieces. Winston is known by many nicknames, the first is “Jeweler of the Stars”. His diamonds have appeared in Alfred Hitchcock’s “Notorious”, “The Graduate” with Dustin Hoffman, Woody Allen’s “Everyone Says I Love you” and “How to Lose a Guy in 10 days” to name only a few. Harry Winston was the first jeweler to popularize renting jewelry to celebrities, he saw Hollywood as a way to get people excited about the world of high jewelry. He first did this by loaning diamonds to Jennifer Jones in 1943 for the Academy Awards. Once he saw the popular reception his diamonds received, he continued on this path and his company is still known by its many endorsements by celebrities. Harry Winston crafted a new philosophy of jewelry design by focusing on the gemstones rather than the metal they were set in. As the story goes, he once noticed that it wasn’t the branches that made a Christmas wreath so beautiful against the white snow, but the leaves were in fact the true causes of the beauty. This led to his signature technique known as “clustering”. Clustering is the process of letting the jewels guide the design of the jewelry and not the other way around. Winston does this by taking different cuts of diamonds and setting them together at varying angles, creating highly dimensional jewelry that shines light from all directions. Harry Winston is also known as the “King of Diamonds”, by 1950 his personal collection was second only to that of the Royal Court of England, Harry Winston owns the Hope Diamond previously owned by King Louis XIV of France and King George IV of England. He also owns the Star of the East which originally is suspected to have belonged to Sultan Abd Al Hamid of Turkey, later it was sold to King Farouk of Egypt. All of the diamonds in his collections have connections to royalty and heads of state. The Empress Farah, the Duchess of Windsor, Gracy Kelly, and Elizabeth Taylor have all been seen wearing Van Cleef & Arples jewelry. The most distinctive piece of the collection is the Cadenas Watch, supposedly a product of the Duke and Duchess of Windsor’s desire to create a piece which symbolized the union of two families. Cadenas is French for “lock” and it incorporates a lock mechanism. In the early 20th century watches were seen as a men’s accessory, the Cadenas watch sought to change that by creating a watch that was stylish yet feminine. There are four characteristics which determine the value of a jewel, these are known as the 4 C’s and they are: color, clarity, cut, and carat. Van Cleef & Arples claim there diamonds have a 5th “C”, character, because each of their diamonds are examined under glass and are held to the highest categories of excellence in the strictest criteria for diamonds. Italian jeweler Buccellati was founded in 1919 in Milan. Founder Mario Buccellati became famous overnight when he was commissioned by Pope Pious XII to create a necklace for Princess Margaret to commemorate the first time a British royal visited the Papacy in hundreds of years. Buccellati’s are known for their timeless designs which draw on Milanese heritage for inspiration. Buccellati’s can be distinguished by their subtle, distinctive style that seeks to evoke the glamour’s of the past in a contemporary environment. Tiffany & Co was founded by Charles L. Tiffany and John B. Young in New York City. 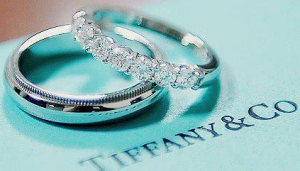 The original Tiffany’s store was intended to sell a variety of items but once John B. Young left the enterprise Charles Tiffany saw to it that the store focused its efforts exclusively on women’s jewelry. Charles Tiffany was a trend setter in the world of jewelry and the world of business. His store was one of the first to clearly label each item to avoid customers who wanted to haggle for the price. He also only accepted cash as opposed to credit. Tiffany’s gemologist, George Fredrick Kunz, was highly influential in the adaptation of the metric carat as the standard unit for measuring precious gems. Tiffany & Co has a long and celebrated history in America. Tiffany & Co accidently created the New York Yankees Logo, they own the French Crown Jewels, and the fashioned the Great Seal of The United States. Tiffany’s also owns the Tiffany Yellow Diamond, a 128 carat stone cut in the shape of a cushion. This diamond is one of the largest to ever be discovered. Tiffany’s was the first jeweler to cut diamonds of this size, similar endeavors were not undertaken until well into the 20th century. The Tiffany Yellow Diamond has only been worn by two women, Mrs. Sheldon Whitehouse at the 1957 Tiffany Ball, and Aubrey Hepburn for promotional content for her film “Breakfast at Tiffany’s”. Louis Ulysses Chopard began his watch making workshop in 1860. He was renowned for his creativity, use of state of the art technology, and his craftsmanship. Prior to his death, he was unable to convince his sons to take over the company so it was bought by Karl Scheufele. Karl still attends to Chopard activities but Chopard is largely run by his son Karl-Friedrich who operates the men’s wristwatch division, and his daughter Caroline who runs the women’s collection. Founded in 1874 in Switzerland by Georges Piaget, this watch company is credited with starting the movement towards ultra-thin watches. Georges Piaget designed the first ultra-thin watch in 1957, known as the Emperador, one of their most emblematic pieces. In 2014, Piaget released the Altiplano 900p, which at 3.65mm made it the world’s thinnest hand wound mechanical watch. Piaget continues the tradition of miniature painting, a laborious process that involves crushing raw enamel into a fine powder, afterwards the powder is mixed with oils to create the color pallet which is then applied to the jewelry and glazed over 20 times in an oven. This process creates brilliant colors but it requires a high level of craftsmanship available only to experienced watchmakers. Every stone in evry Piaget watch is cut by hand and adjusted by hand to ensure their products meet the highest specifications of color and clarity. Piaget also adheres to the Kimberley Process. Bulgari (Stylized as Bvlgari) is an Italian company founded in 1884 by the Bulgarian immigrant Sotirios Boulgaris. After his death the company was headed by his children, the company is still largely controlled by his descendants. Bulgari jewelry has a distinctive design that is often imitated. Bulgari draws his influence from bold architectural designs, utilizing gold links and interlocking steel. Bulgari is also known for their use of colored stones, sapphires, and the use of smooth outlines mimicking the contours of a dome. One of the most defining characteristics of Bulgari is the sense of volume created by these motifs. Graff Diamonds was founded in 1960 by Laurence Graff, they specialize in creating pieces made of rare high quality diamonds. Currently, Graff is based in the exclusive commercial area in West London known as Mayfair. Laurence Graff began his jewelry business as an apprentice at the age of 15 in the town of Stepney. Graff Diamonds adheres to the Kimberley Process of Certification scheme (KCPS), here on referred to as the Kimberley Process. The Kimberley Process was designed to prevent conflict diamonds from entering the mainstream market, thereby preventing diamond customers from indirectly financing violent rebel movements. Graff’s collection includes the Windsor Yellow diamond, originally owned by Wallis Simpson, an American socialite and the Duchess of Windsor. Graff also owns the Paragon Diamond, the Paragon is a perfect diamond, judged so because it is flawless and without illusion. The Paragon is the tenth largest white diamond in the world. This D class gem weighs 137.82 carats. Graff placed this diamond in a necklace, he cut and polished the diamond, and surrounded it with rare pink, blue, and yellow diamonds. The Paragon has become associated with the new millennium because it was worn by Naomi Campbell at a diamond gala. Another notable jewelry piece owned by Graff include the Lesotho promise, a 120.6 gram stone bought for 12.4 million dollars in 2006. The Lesotho promise is 224 carats the highest yield of any single diamond. Graff also owns the Peacock Brooch, a diamond that takes the form of a peacock with fanned tailed feathers and adorned with colored diamonds. The Peacock Brooch is valued at $100 million.